Hedging plants are spaced close together and in lines. 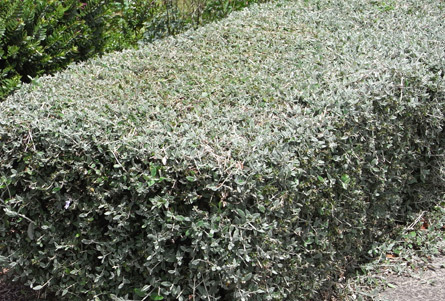 A hedge can be straight or curved and have different applications and effects. 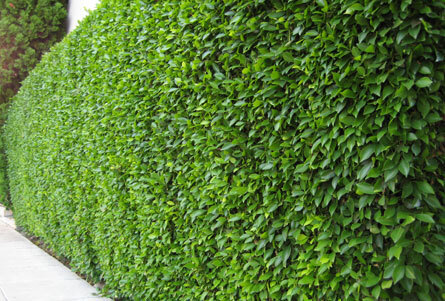 Formal hedges are a structural, dividing element in the landscape. 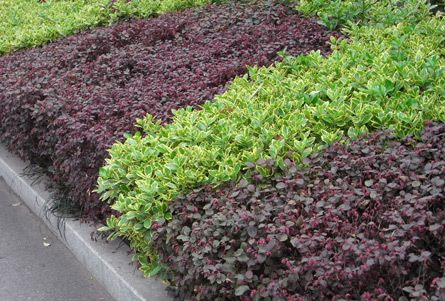 With a compact, geometric shape, suitable plants typically have fine, dense foliage and nondescript or no flowers. Regular clipping promotes denser growth and restricts spread but at the expense of flowers. As hedge height is controlled, natural dimensions aren't critical in plant selection. Yet a balance is needed between smaller species that take forever to achieve the effect and a larger one that grows quickly but then needs constant pruning down to the desired size and shape. Informal hedges also provide strong structure but with a more casual effect. Requiring less or no pruning - left to display flowers, fruit or graceful habit - a closer fit between the given space and the natural dimensions of the plant selection is necessary. The clipped lines of low formal edging hedges - under about 0.5m - reinforce edges and frame the more seasonal plantings of herbaceous borders. Informal edging of compact mounding or gently spreading plants - as opposed to groundcovers - softens and blurs boundaries by bringing taller border plants down to a path. A hedge above head-height similarly may be either a formal screen or informal screen. 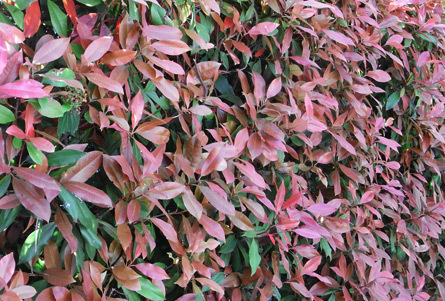 Both can be used to obscure eyesores, manipulate views, provide privacy and shelter or create a green wall as a backdrop. The pruning of formal screens can become hard to maintain. Informal hedging plants will suit coastal and cottage gardens, unless a formal contrast is desired. Formal hedging plants suit contemporary and, naturally, formal garden designs. Most hedges are a kind of living fence. But for extra security, plants with thorny stems or prickly leaves can create an impenetrable barrier hedging. Use the Plant This Plant Selector to choose hedging plants that suit your needs.